You'd surely get a nice sleep with plants in the bedroom. Today, we have a list that would cover a small amount of questions we have about seeing planters in the bedroom. It is somehow a common practice for some people to really add planters inside the bedroom – for two things : either the home owner wants plants in general and second, I think that home owners add plants in their bedrooms to add a bit of love into the space. Below is a list of 20 Stunning Bedrooms with Nice Planters that covers a couple of designs available in the market. There are some pictures in here that has small planters, others are quite large while others are ideal for tables and some for walls. Check out the list so that you know what I’m talking about! The view of the outdoors is just spectacular! 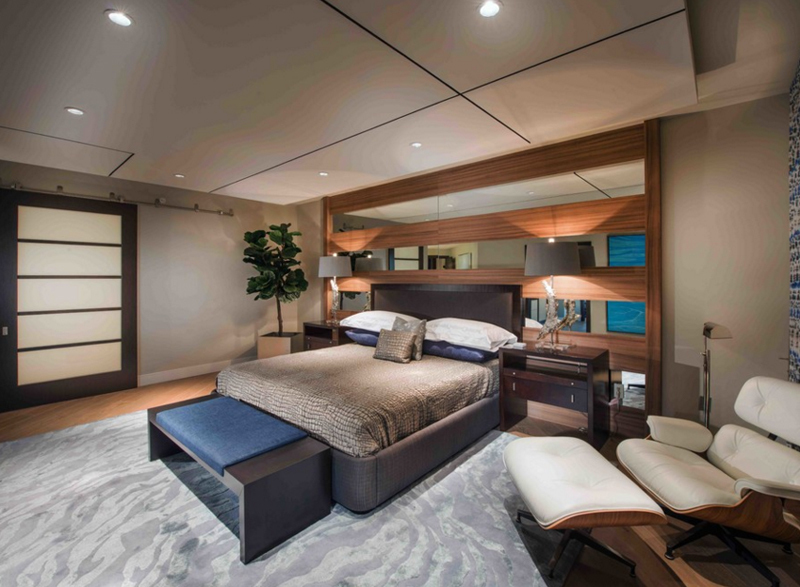 I can imagine why the designer really made sure that the walls of this bedroom are all glass. With a view like that one, I think that being inside this bedroom is like waking up in a beautiful place away from the bustling city. How do you fancy a simple bedroom with the necessary things a bedroom should have and seem to have it all? This is one example of that type of bedroom that may have the least things inside them but still maintaining a comfortable solace after a stressful day. When you think about a theme for your bedroom, you always go for something that will not need a lot of remodeling because you do not want to be sleeping in the couch during those times. 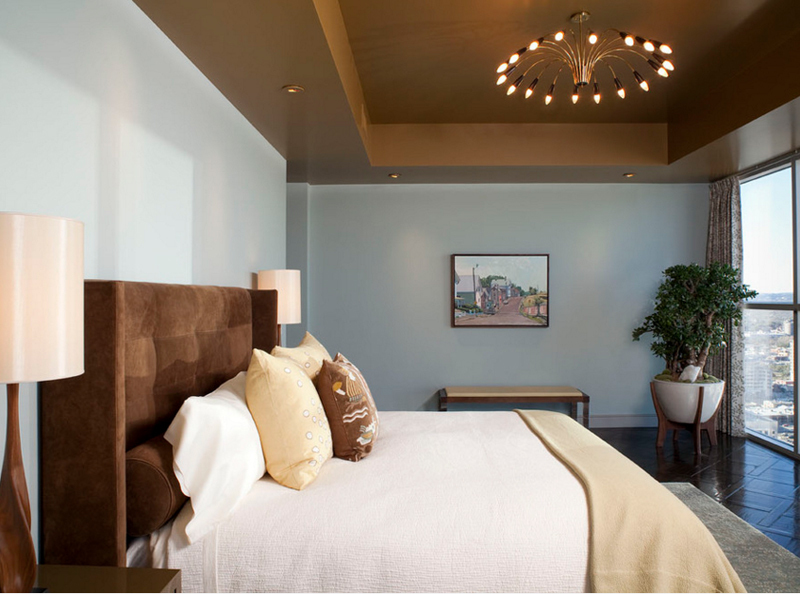 Using neutral tones usually does the trick; a black and white bedroom also is a great option. I surely hope that I got the name of this bedroom project because this sure is one perfect space! The colors are great, the furniture and decorations in here are stunning too; what more can a home owner actually ask for? 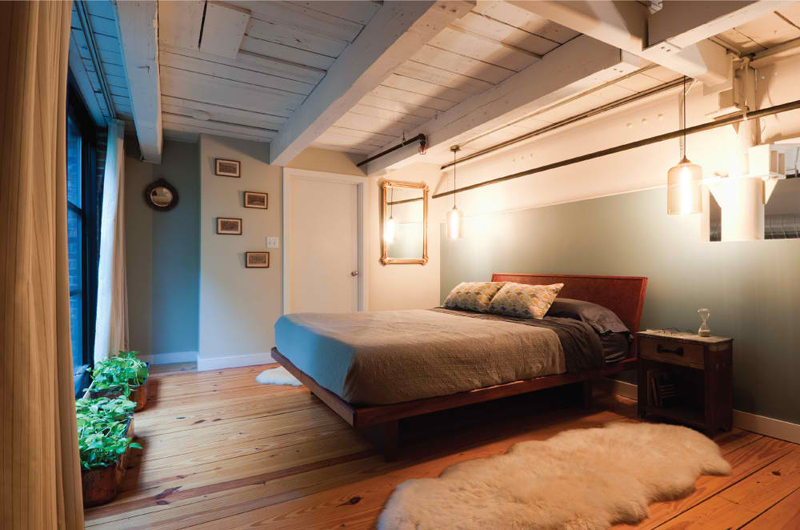 A loft-inspired bachelor space that I think could be a great start for a beautiful space for sharing. The fact that this bedroom actually has fur on the floor makes me question if this space is in fact used by a male. As much as there are but a few decors in here that screams female, I still think that this could pass for a space for a woman than a man – bias and all. Take a look at the cute circular planter on the side of the bed with beautiful flowers in them. I feel a bit confused why this bedroom looks really small but with this very comfortable looking bed – I actually exchange my bedroom in a heartbeat! The slender silver planter by the window sure looks expensive and cool. I mean, it seems very simple but it definitely stands out in this bedroom. 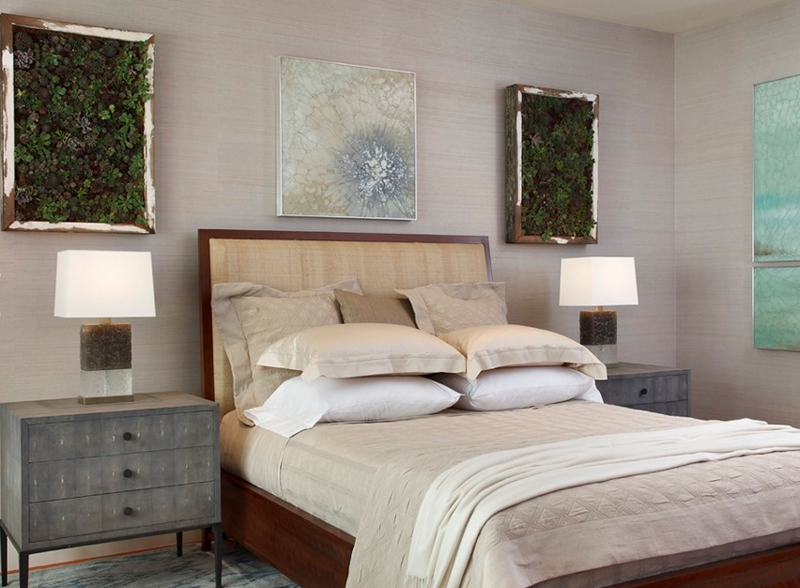 Adding the actual plant added color to this already beautiful neutral bedroom. I am quite fascinated with beds with posts or screens of some sort. It seems a bit princess-like; not this bed though – because of the fact that it is not pink, it somehow feels grown-up. Check out the planter by the window – it sure is large and pretty heavy – at least I think so. If you can see (even if the other planter is cut in half in the photo) there are two medium-sized planters in this bedroom. I know it may be pre-mature to judge a space for the colors in it, but I think that this bedroom is a bit beach-inspired with the bed and the linens seen in here; plus the shades on the window too. This penthouse bedroom sure has a wonderful bed with a stunning head board what complements and blends well with the color of the nightstand, the lamp and the ceiling. I find the lamp in the center of the bedroom interesting and pretty unique; what do you think? This Florida bedroom sure has a lot of pizzazz for a masculine-looking space. The bed, the stool at the foot of the bed and the arm chair and its paired foot rest look all too masculine even when the colors are surely neutral and plain. Notice that the carpet on the floor makes all the furniture stand out. I know that it might not be as obvious at first glance, but there are succulents on the wall – the planters in this picture is basically the frames where the succulents are. I find that frames/planters look stunning even when it is shabby. 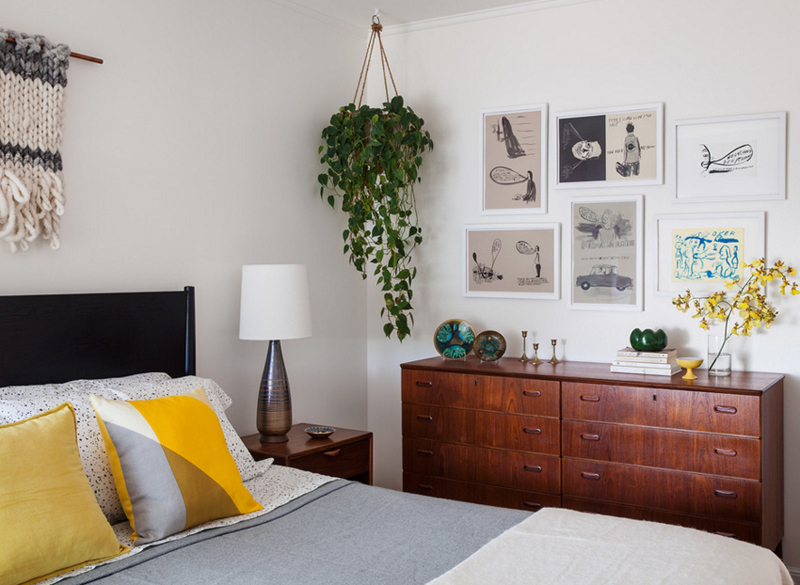 The hanging plant at the corner of this bedroom is quite a cool thing. I think that it’s also unusual since it’s far away from the window or something – unless of course the plant in here is plastic. I fancy the wall of photos in here, really. I think that it’s personal artworks of the home owner or a family member. This lovely bedroom is surely something to look forward to – everyday! I mean – every night. The simple looking bedroom has what anyone would need in a bedroom. A stuffy and comfortable bed, a neat night stand with awesome lamps and a fireplace to fight the cold night. How about that for a bedroom? This time around, I think that this bedroom is a definite example of a contemporary space meant for a person who want to feel like in a vacation – all the time. The beach theme and feel of this bedroom is super fancy and I think that anyone would love to be in here. A traditional-looking bedroom with the most neutral colors but with the most classic look any space could actually have. The choice of golds, bronzes and browns is like a go-to if you want to achieve that classic look, a bit vintage, maybe – but still a classic beauty – all the time. Wow! This is one beautiful bedroom to begin with! Sometimes, a white space is like the beginning of something great – for spaces I mean. Although of course, there are also a couple of times when it was the primary color choice because it would surely and always go with anything. The addition of the potted plant by the window is like bringing something inside from the outside. 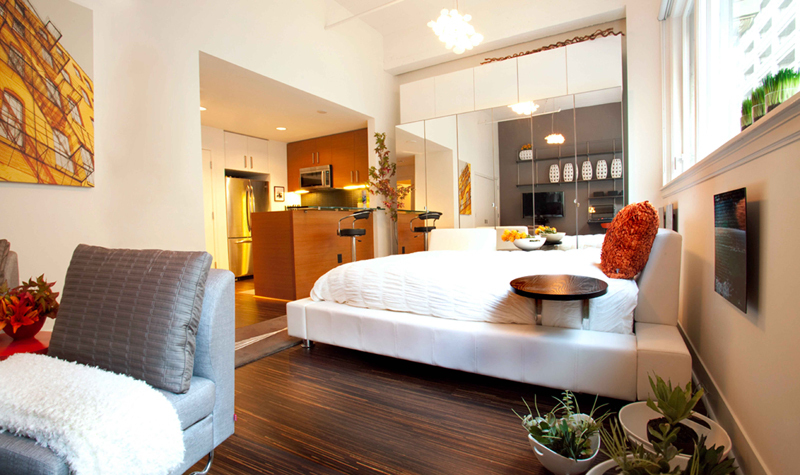 What do you think about the cute planters on the floor at the side of the bed? I usually am used to seeing planters this small in tables or in window sills than on the floor. I think it’s nice though too because the color of the floors contrast with the white planters which makes it stand out. I think that this bedroom sure is large and it has tons of space that people can actually hang out in. As a teen, I remember that I prefer hanging out in the bedroom with my siblings, cousins or friends whenever we were at home. This bedroom would surely be great for that type of fun. This sure looks like a wonderful bedroom to be in the finale. The color of the walls is just fascinating – it’s not something that you see everyday which makes it really beautiful. The white furniture and decorations in here sure looks stunning and heavenly. So if you have seen the list about the 20 Ways to Add Planters in the Bathroom, I think that this list is quite a charmer too! Aside from bathrooms, it is the bedroom and the living room that people add planters to. Right? Lists like this one is something we could actually use for the house and searching for spaces like this one is something fun to do too! I hope you liked this list guys!